The front runner for hip hop album of the year has been playing in my cd player for the past week. The album is Human The Death Dance and the MC is Sage Francis. 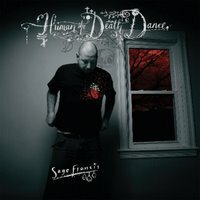 I've been a Sage Francis fan since his Non-Prophets debut album. His first Epitaph releases was good but this, his second, is a much greater achievement. Some of the my favorite albums I've panned on the first listen, this one started that way on first listen but it started to grow on me. Something clicked on the second listen, I think I started paying more attention to the lyrics and then eventually the albums production started to find more appreciation. Lyrically Sage is one of the best in underground hip hop so don't expect any less from him on this album. From Dr. Nogatcos' Nogatco Rd. 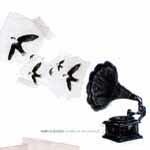 ... with a 36 page booklet containing the album's lyrics and background stories to the songs. Order the album at Sage Francis' record label Strange Famous Records.